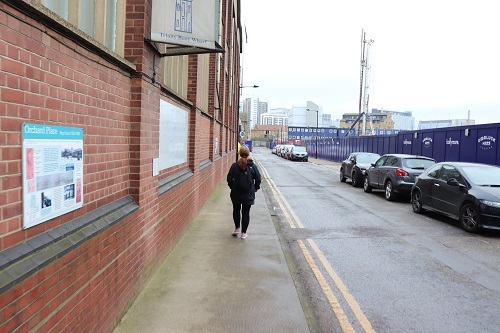 Over the last few years, I have followed with interest the work of Frank Creber and other East London artists who record their impressions of the ever changing East London cityscape and local people and their communities. 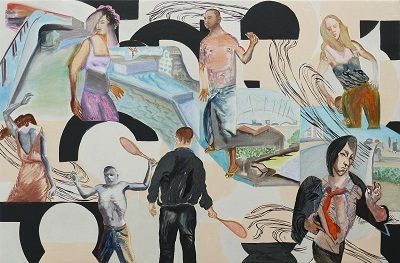 Frank and fourteen other figurative painters are bringing some of their latest works for a new show at the Espacio Gallery, in Bethnal Green, East London. 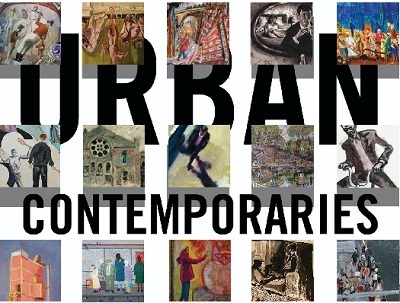 The group of artists are known as the ‘Urban Contemporaries’ and have come together to investigate the urban experience through the medium of painting. 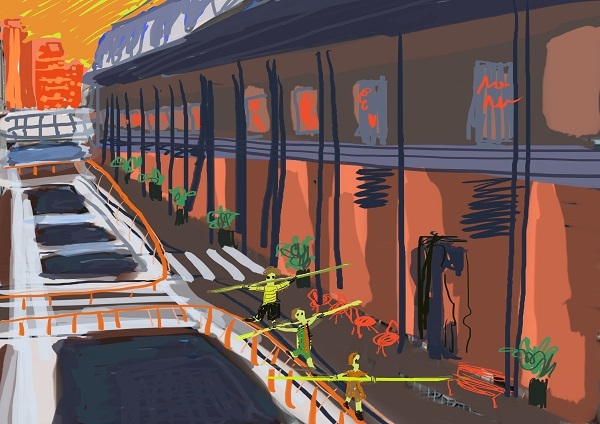 Each artist have attempted to explore different aspects of the urban encounter through exploring scenes of everyday life. 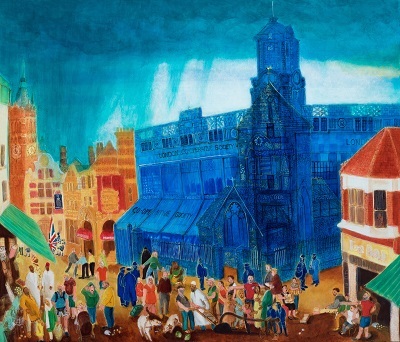 The Exhibition features over 80 paintings providing glimpses into the very diverse visual experiences of fifteen painters, who chronicle the changing urban environment. 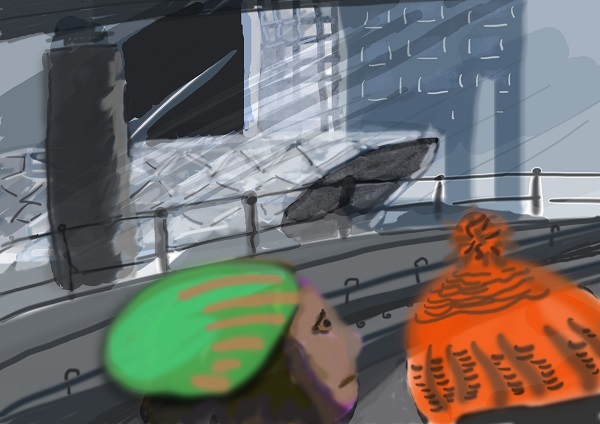 Some use drawings and paintings as visual accounts to convey the disappearance of social and cultural landmarks, others interact with symbolic elements to transmit feeling, atmosphere and humanity, exploring the sense of intimacy and detachment, specific to cities. The artists taking part in the exhibition are Timothy Hyman RA, Sharon Beavan, Frank Creber, Ferha Farooqui, Grant Watson, Michael Johnson, Elizabeth McCarten, Melissa Scott-Miller, Michael Major, Annette Fernando, Susanne du Toit, Alex Pemberton, Charles Williams, Gehin Evans and Sarah Lowe. 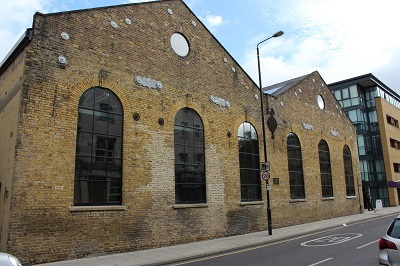 Location: The Espacio Gallery is located at 159 Bethnal Green Road, London, E2, near Brick Lane. Opening Times: Tues – Sat 1-7pm Sun 1-5pm. If after the excitement of the festive period, you are suffering January blues, it might worth making your way to Canary Wharf for their Winter Lights Festival.The Winter Lights festival returns for a fifth year bringing together some of the most imaginative light artists to create spectacular artworks, installations and experiences. Some old favourites return and each year the festival seems to get bigger and better. The festival is great for all the family with plenty to entertain the children. Although the festival does not open till the 15th, here is a sneak preview of what to expect. Prismatica turns heads with the countless colourful reflections made by its giant prisms. 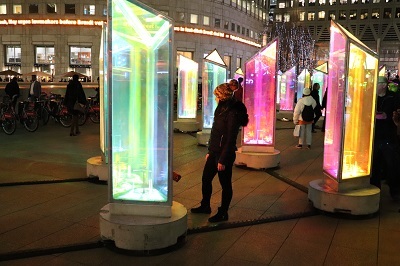 Visitors can walk amongst them to see city life in every colour of the spectrum and spin the prisms to make them dance. The speed at which information is sourced, exchanged and updated in our modern society is almost inconceivable, and more ephemeral than ever before. The work BIT.FALL translate this abstract process into an experience for the senses as an ever-changing cascade of words, derived from a live newsfeed on The Times website, falls down on a wall of water. 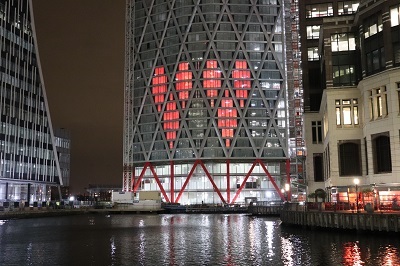 As the structure of this iconic residential skyscraper grows, lower level windows flicker and shine with light to momentarily form two illuminated and transient hearts, symbolic of the life and energy the building is poised to support. This monumentally-scaled kinetic sculpture echoes the marine mammal and fossil skeletons seen in natural history museums. Whale Ghost invites the visitor to spend a moment thinking about the impact of mankind on our biodiversity. 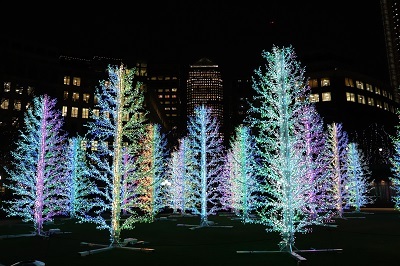 Westferry Circus becomes a magical winterscape as we illuminate this beautiful location with glowing fir trees. 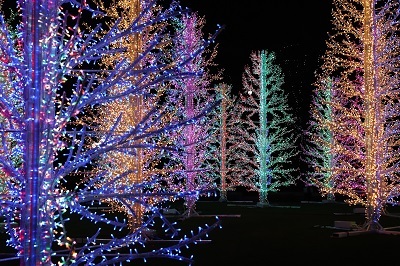 The striking neon colours of the trees create a fantastic contrast with natural foliage surrounding them. Blue Neuron is a beautiful kinetic light installation built from reworked heat-treated plastic bottles. Zac’s inspiration comes principally from nature. Working in a wide range of media, from discarded plastic bottles to laser projections, his works often comment on issues such as sustainability, environmental degradation and consumption. Time & Tide, with its hourglass design and colours inspired by nature, aims to remind us of the urgency of halting the plastic pollution of our oceans. Its form tells us that time is running out to repair this problem before the damage to our planet is irreversible. Heofon is an old English word for the sky. This fascinating light maze is based on triangular geometry which reflects and shifts light rays along the entire colour range of a rainbow. On the outer perimeter the panels are covered with a mirror film converting the interior into an infinity room. Colour does not exist. Colour is in the mind. It is the result of complex processes of adjustment and comparison. Colour Moves is an immersive installation of pigments that react with specific wavelengths of light. 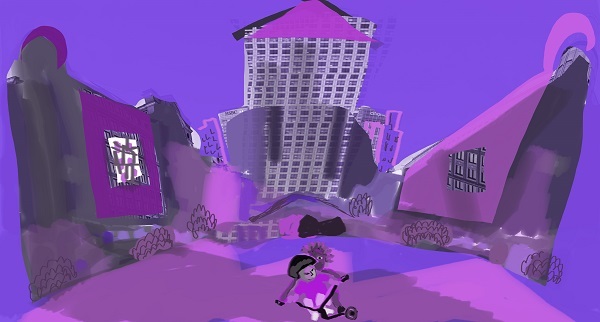 Artist Oskar Krajewski is working towards a new chapter in art history – Recyclism. 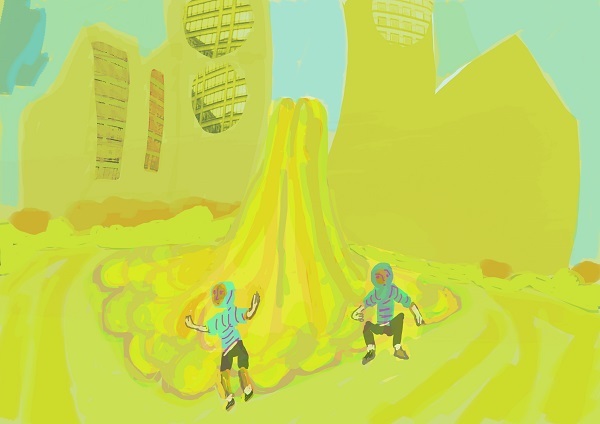 Recyclism is a platform for artists and like-minded people who care about our global environment. Oskar’s sculptures are made almost entirely of recycled materials such as unwanted toys, obsolete electronics, plastic packaging or any everyday use objects. 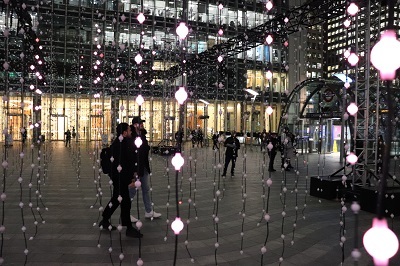 A permanent installation of more than 500 illuminated acrylic rods installed in a water channel, this engaging art work was commissioned by Canary Wharf Group in 2015. Vena Lumen means pulsing light. Take a seat on this stunning bench, place your hand on the sensor and watch it transform your heartbeat into dancing light. 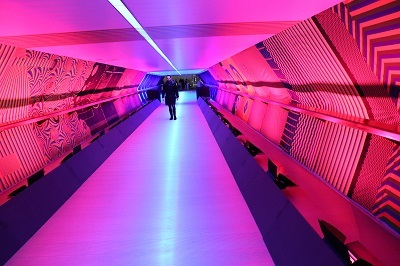 Enchanted Connections invites visitors to the Crossrail Place Roof Garden to interact with light and each other in an imaginative way. 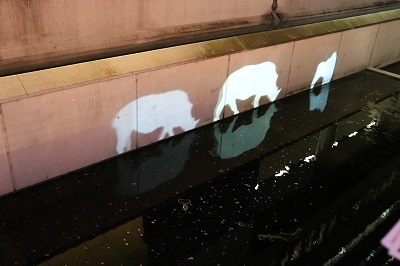 Last Parade is a site-specific video installation that creates a wildlife reserve filled with rare animals and birds, where the shadows of endangered and threatened species march perpetually along the Canary Wharf Riverside, slowly fading out as their march ends. 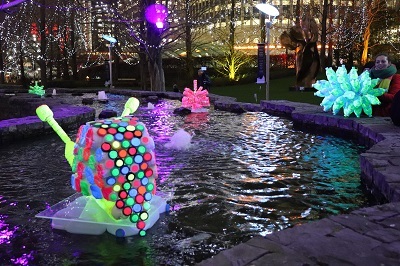 These firm favourites light up Canada Square Park every evening as part of the permanent collection. The benches subtly change colour and are lined up to create a pleasing spectacle along the pathway. Submergence is a large, immersive, walkthrough light experience. This is the largest version ever shown, comprising of some 24,000 individual points of suspended light, that transforms the space into a hybrid environment where virtual and physical worlds coincide. Light, Stone, Pavement is a playful, contemporary take on the simple game of hopscotch, where the chalk lines are replaced by a glowing outline of electric luminescent ribbon triggered by the player’s progression through the game. 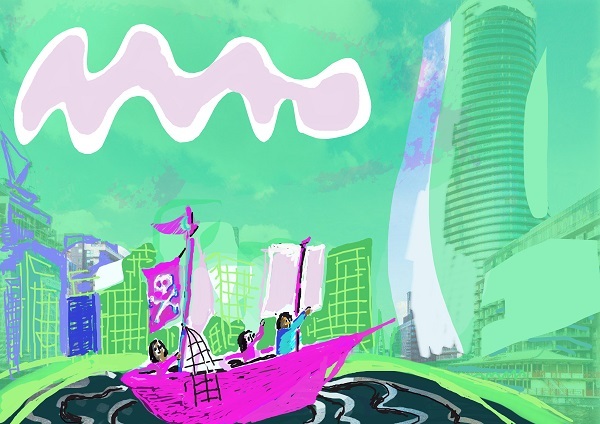 Community artist Mürüde Mehmet will be working with local children in Tower Hamlets to construct colourful organic floating forms made from recycled bottles. 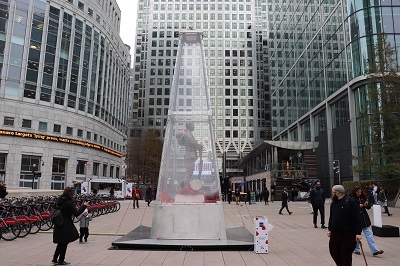 The creations will be displayed on the running water streams at Canary Wharf, encouraging awareness of how much waste is created by single use plastic water bottles. These beautiful illuminated wings travel around the world, connecting people by allowing everyone to become an angel in their own way. The Festival takes place from Tuesday 15 – Saturday 26 January 2019 between 5-10pm throughout Canary Wharf, the festival is free to attend. 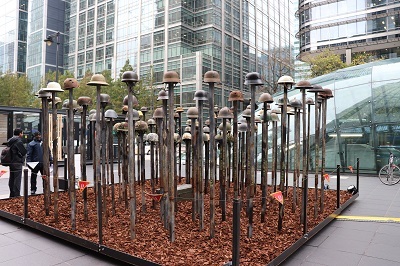 In the run up to Remembrance Sunday, Canary Wharf presents the 2018 Remembrance Art Trail which is an exhibition of works by artist Mark Humphrey. The artist has created 11 pieces of art that will be displayed across the estate to commemorate 100 years since the end of World War One. Six of the artworks displayed in 2016 are on display alongside 5 new pieces including Every One Remembered, courtesy of the Royal British Legion who commissioned the work in 2014. The works illustrate the way our perception of World War One has changed over the years, they display the sacrifice and human costs rather than the glory of the conflict. The works are inspired by the artist’s own family upbringing and explores the nature of service, sacrifice and remembrance. 1. Lost Armies, Jubilee Park – a piece remembering the fallen and those who made sacrifices for countries who have fought for the British Armed Forces. 2. 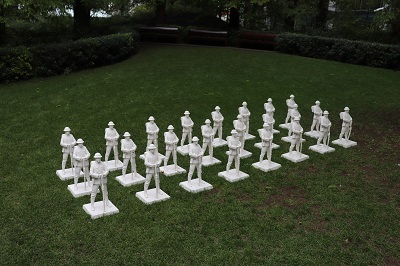 Lost Soldiers, Montgomery Square – a work examining healing, remembering and forgiveness. 3. Jutland Capsule, Art Window Gallery, Canada Place – the poppy capsule floats on water, sinking beneath the waves over the shipwreck of HMS Invincible. The copper and brass memorial, full of heartfelt supporter messages, commemorates all sailors who fell at the Battle of Jutland, in the largest naval WW1 conflict. 4. Life Blossoms Again, Design Window Gallery, Canada Place – every time we see a poppy grow, we shall be reminded of an individual who made the ultimate sacrifice. 5. 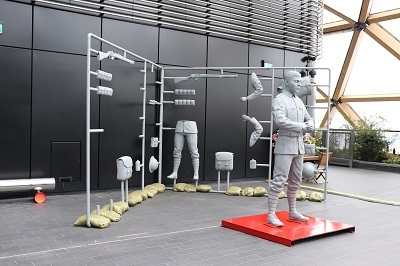 Brothers in Arms, Crossrail Place Roof Garden – an exhibit demonstrating human sacrifice, comradeship and remembrance for all military conflicts. 6. 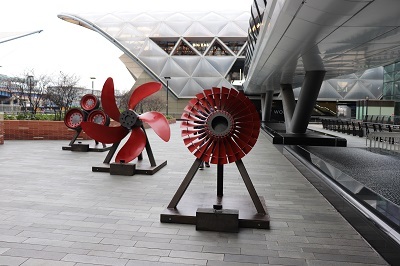 ANA (Army, Navy & Airforce) Triptych, Adams Plaza – using parts of military transport vehicles from the British Armed Forces, this work displays poppies in an abstract form. 7. 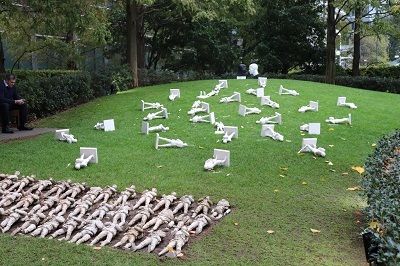 Fallen Soldier, Cabot Square – this work remembers our servicemen and women from all conflicts. 8. Nick Beighton Part 1 (Trauma To Champion: Windows Of The Soul) Hepatych, 2017-2018, lobby, One Canada Square – a work about life’s trauma and triumphs, the resolve for resolution, searching deep into the soul, that death is not an option in the pursuit of illumination. 9. 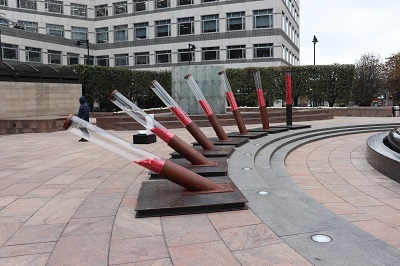 Nick Beighton Part 2 (Tragedy To Triumph: Metamorphosis Of Life) Pentatych, 2017-2018, lobbby, One Canada Square – a work demonstrating the strength overcoming disaster, finding the power to heal, rebuild and stand strong. The ability to grow, develop and emerge into something beautiful. 10. Every One Remembered, Jubilee Plaza – thousands of poppies dedicated by the public throughout the UK flutter around the soldier, paying tribute to each and every one for their sacrifices made. 11. 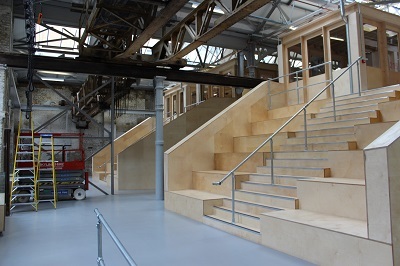 Point of Everyman’s Land, West Wintergarden – this piece delves into war in time and space, alongside moments of battle. Whilst the art trail is open, there will be charity pop-ups where you can make talk about their work and give donations. Charities involved include The Royal British Legion, Combat Stress, 68 Squadron and The Poppy Factory. There is also a series of Walking Tours around the Remembrance Art Trail. 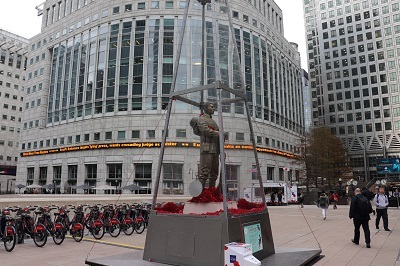 The artworks provide a reminder to the many thousands who work in and visit Canary Wharf that although the First World War is a distant memory, the nation has not forgot the sacrifices made and over the next two weeks a series of events will take place in London including one on the Isle of Dogs in Island Gardens and culminating with the Remembrance Sunday event at the Cenotaph. 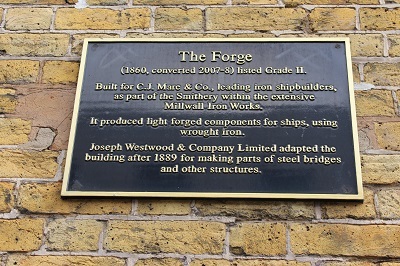 Last year, I had a look around The Forge which is one of the few buildings that survive from the great Victorian shipbuilding industry in Millwall. If you would like to look inside this fascinating old building it will open during the Open House weekend on the 22nd and 23rd September 2018. 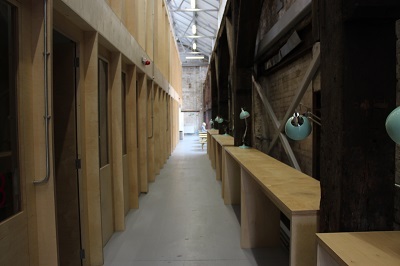 Recently the Forge was turned workshops and gallery space for Craft Central. 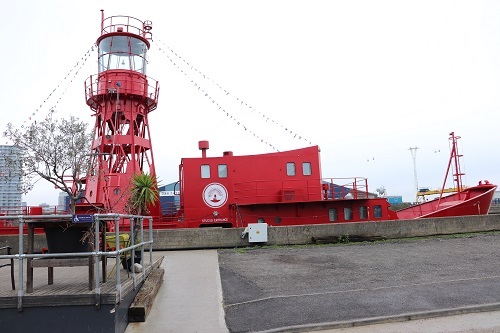 However, many original features remain and The Friends of Island History Trust will be on hand to explain about the building and the surrounding area. The Friends of Island History Trust have recently become a recognised charity and will show a variety of images and prints that celebrate the remarkable history of the Isle of Dogs. 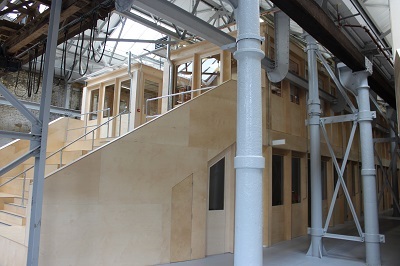 Emrys who redesigned the Forge for Craft Central will be exhibiting their innovative designs, shortlisted for several awards and commended for a New London Award. There will be a Glass at the Forge exhibition with twenty international glass & metal artists in The Gallery. Darren Appiagyei, one of a new generation of woodturners, will be showcasing a range of his work. There will also a Pop-up cafe available. 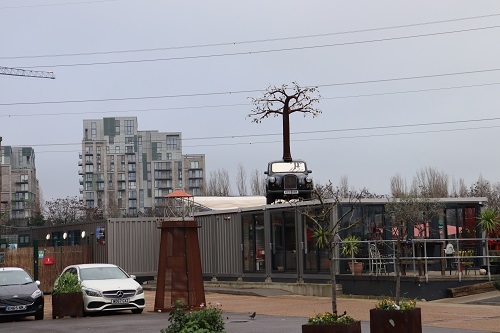 Craft Central at The Forge is a five-minute walk from Mudchute DLR which connects at Canary Wharf with Bank and Stratford. 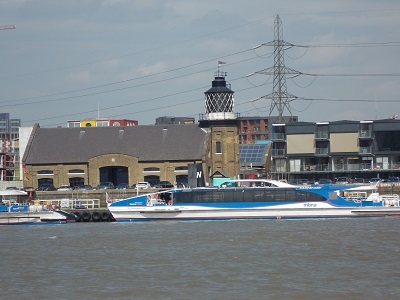 The Forge is close to Masthouse Pier for Thames river bus services from Central London and Greenwich. It is also a short walk from the Greenwich foot tunnel. 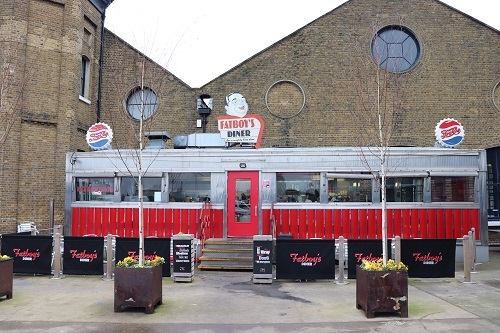 Regular readers will know that I am fascinated by the Trinity Buoy Wharf area which is one of the most unusual places in London. 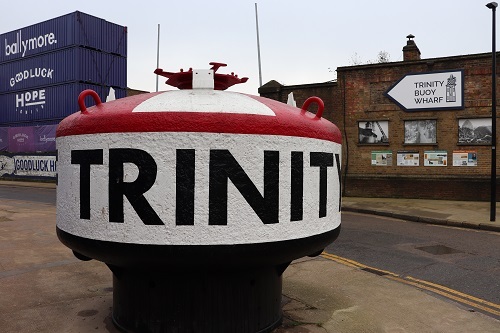 The area has a fascinating history, The Corporation of Trinity House were a company responsible for buoys, lighthouses and lightships and in the early 19th century established Trinity Buoy Wharf as its Thames-side workshop where wooden buoys and sea marks were made and stored. 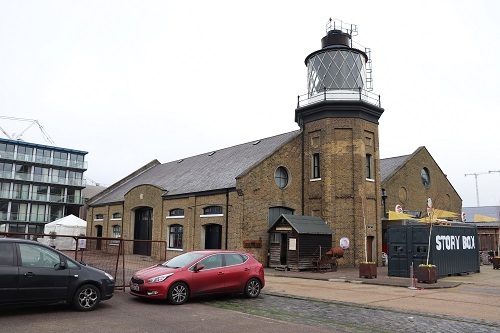 Eventually new buildings were constructed during the Victorian period including the Electrician’s Building and an Experimental Lighthouse whose roof space housed a workshop for the famous scientist Michael Faraday. 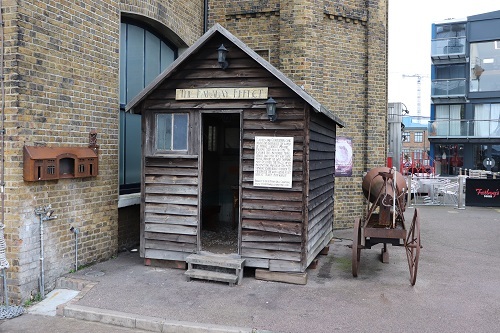 By 1910 Trinity Buoy Wharf was a major local employer, with over 150 workers on the site and carried on until 1988 when it finally closed. 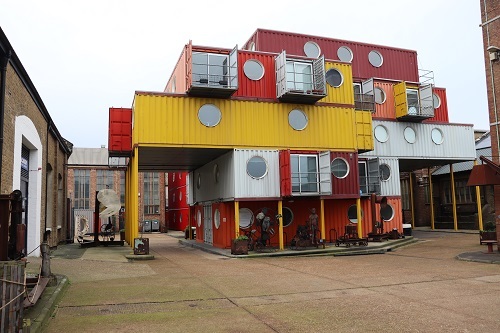 In 1998, Trinity Buoy Wharf which was then an empty, derelict site was taken over by The Trinity Buoy Wharf Trust which began to develop the area as a centre for the arts and creative industries and the location is now home to a working community of over 350 people. 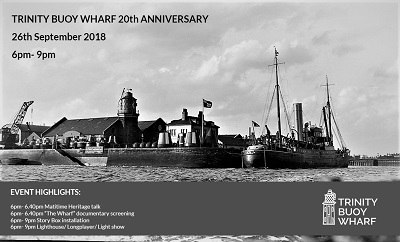 As part of the 20th anniversary celebrations, Trinity Buoy Wharf will explore the site’s rich maritime history of Trinity Buoy Wharf; its buildings, lighthouse and the Thames, River Lee and their banks nearby with a night of special events will take place including specially installed light projections, art shows, films, images, stories and guided tours. 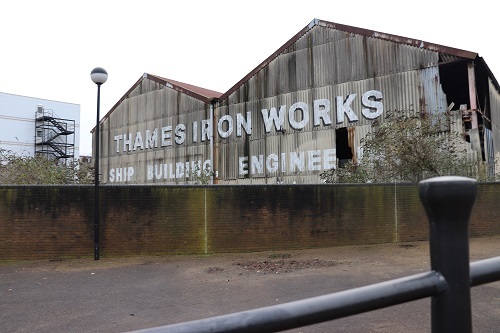 One positive aspect of the trust taking over the site was that it has preserved many historical aspects of this important part of London that may have been lost. If you would like to see how this was achieved, why not visit the Anniversary party on the 26th September, attendance will be free and there are plenty of cultural delights to enjoy.